March 6, 2017: First Chase of Season / Earliest Tornado Record in MN?? March 6 - 2017: Wright County / Mc Leod County to Sherburn County. An early spring severe weather outlook day produced large hail and damaging winds; and tornadoes in MN. This will mark the earliest date in MN histroy that a tornado was ever recorded. 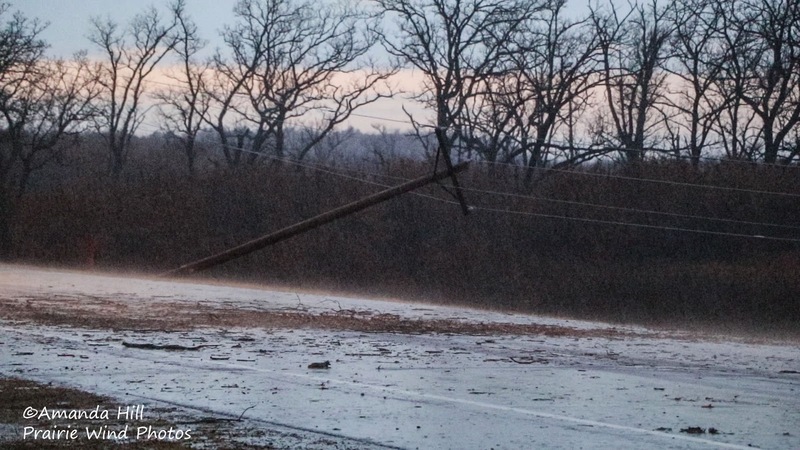 The previous record for this happening was March 18, 1968. We left early in the afternoon and targeted Southern Wright County. 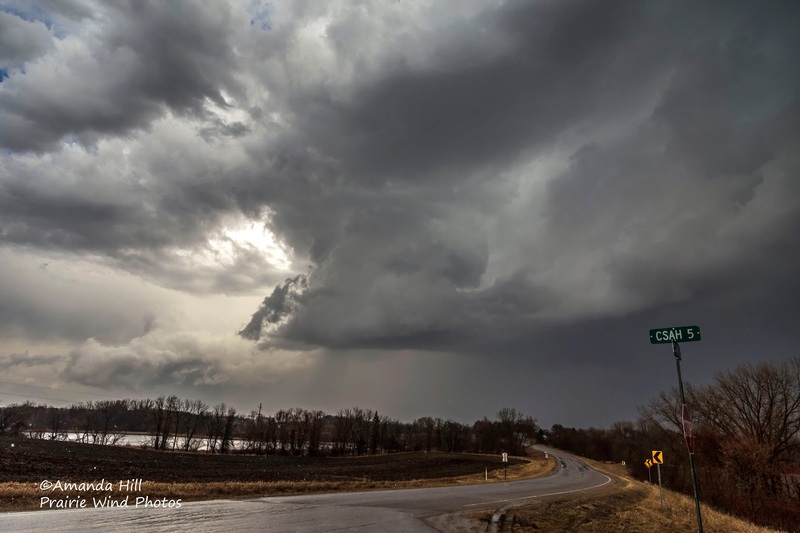 We intercepted the storm that was racing to the northeast form near Redwood Falls. Our storm chasing mascot, Mr. Prairie Dog, was able to get on his very first chase of the 2017 season. 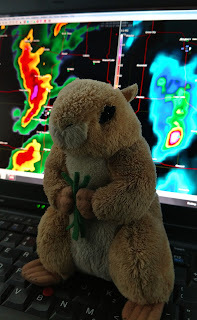 Here he is when we were trying to get on the line of storms moving to the northeast. 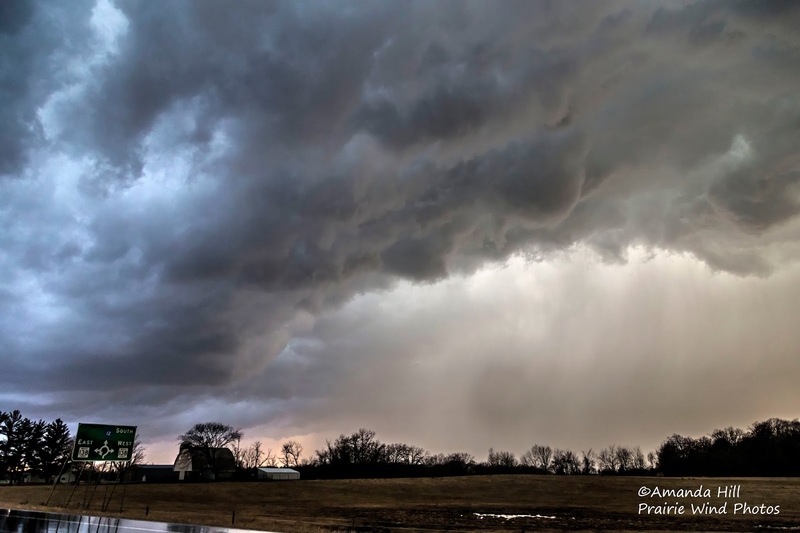 This picture was taken during the first tornado warning of the 2017 chase season. What a way to star off the season! This storm was in Wright County near Cokato where the storm on radar had a kink in the line, and visually she was turning by no means "much". 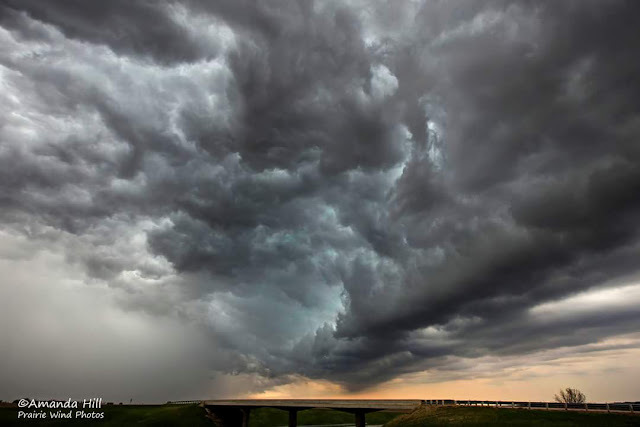 We never witnessed any funnel or tornado with this storm. 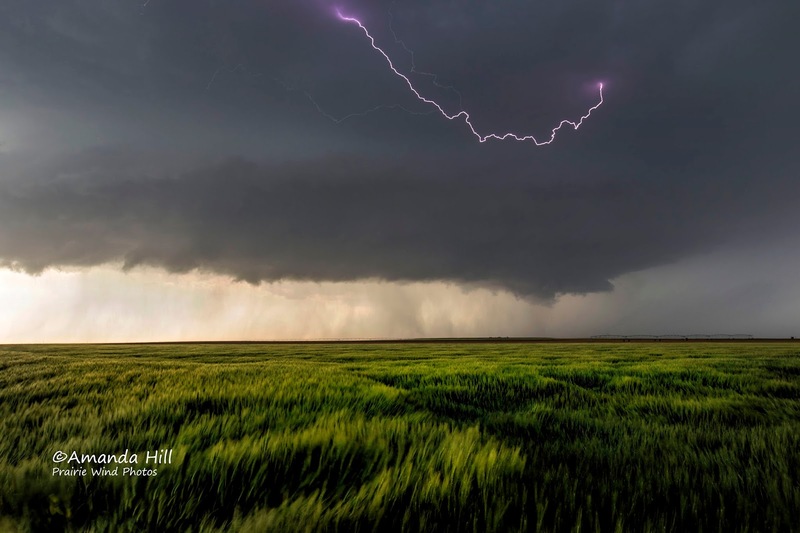 In this shot you will see the golf balls photo bombing my shot of the low topped supercell. We kept following the storms as they raced to the northeast. Here in this picture is us riding the whales mouth where we blasted east just out ahead of this scorching fast line to take a peak just southwest of Buffalo, MN. Here is another look at the storm, now looking north down the road. 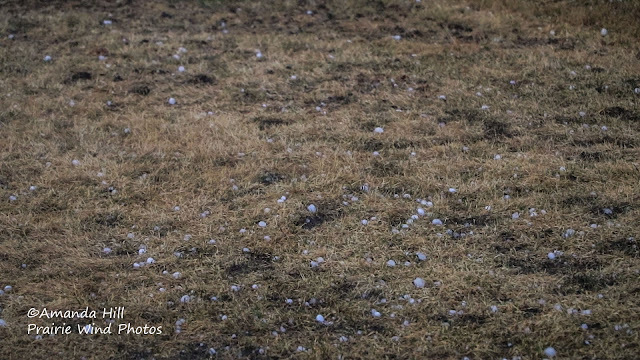 We encountered 1.25" hail with this initial cell. 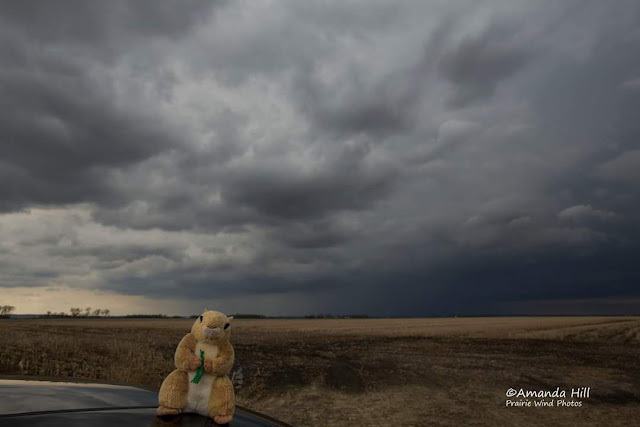 Once we heard of the damage reports up near Zimmerman, MN - we blasted north to try and get there prior to it becoming completely dark. It was a serious situation in Sherburne County right near sunset - as it was evident that a very tight couplet presented itself in the bow of the storms with the QLCS line just west of the town of Zimmerman near Orrock. 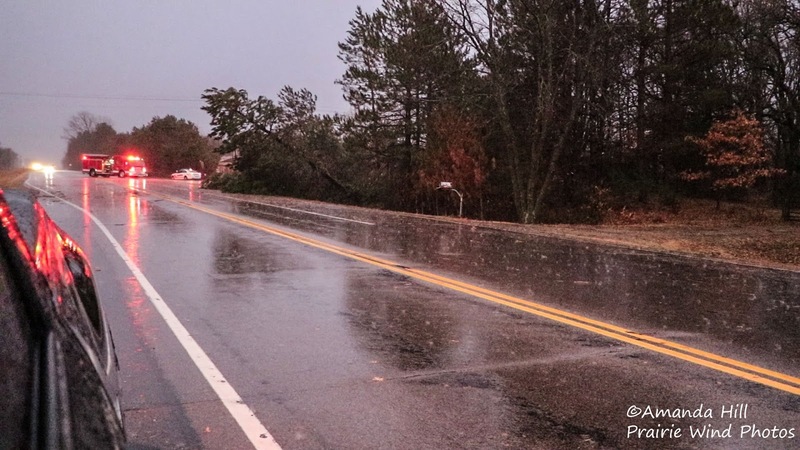 We arrived on scene just moments after the damage was done and encountered numerous large trees snapped and fallen; house and sheds with heavy structural damage, and many large power poles snapped off at their bases. 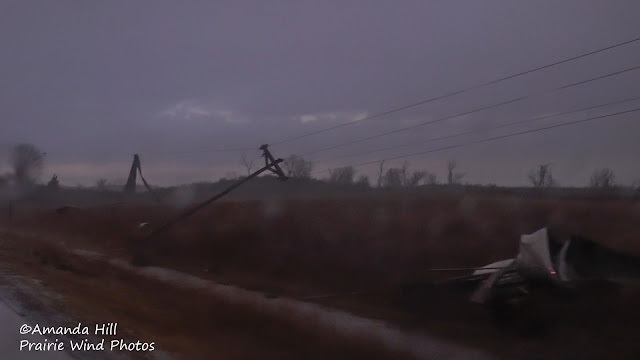 Some barn tin was wrapped and tossed into the tress as well as the power lines. 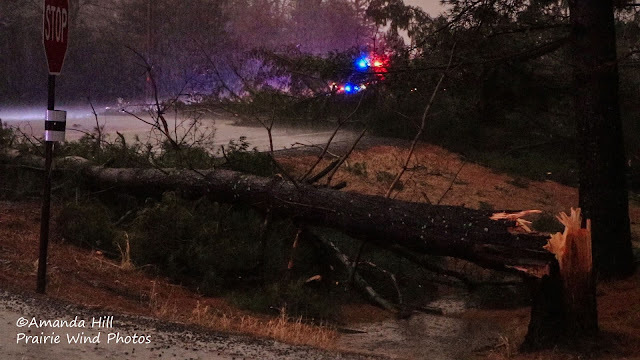 It looked like a tornado could not be ruled out here at this location; based on radar and damage. The MPX NWS will be on scene March 7th to do the damage assessments. Many rescue vehicles were on scene. 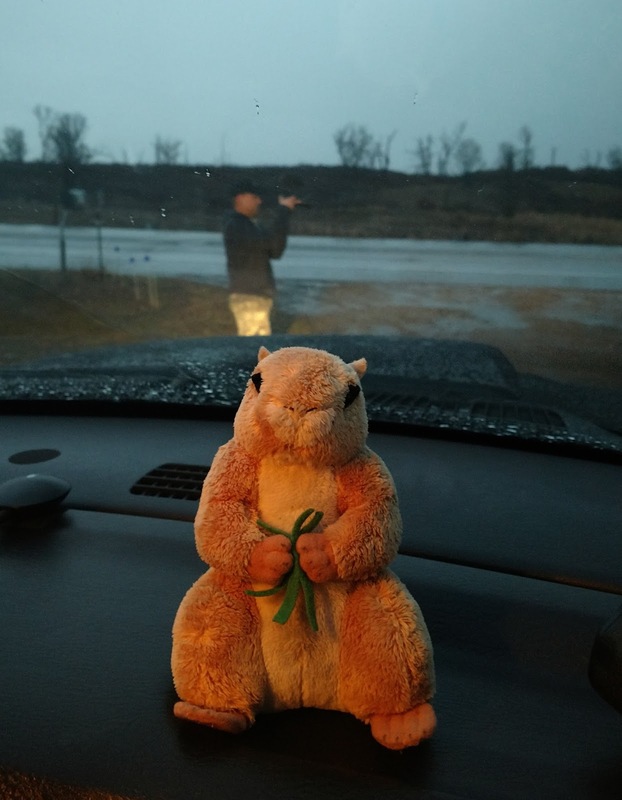 Here is Mister Prairie Dog with Nick in the background shooting video on scene of the tornado damage. Most information will be posted later about the rating of the tornado when the NWS is finished with their surveys. for all the latest weather posts. 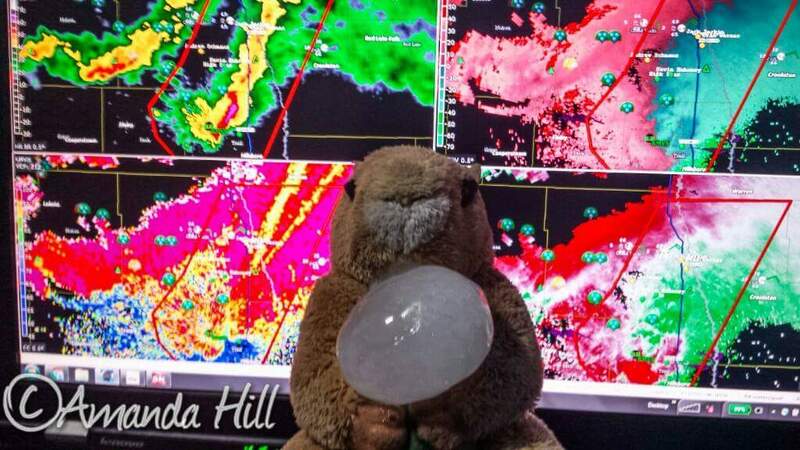 Mister Prairie Dog was happy to see some storms today. 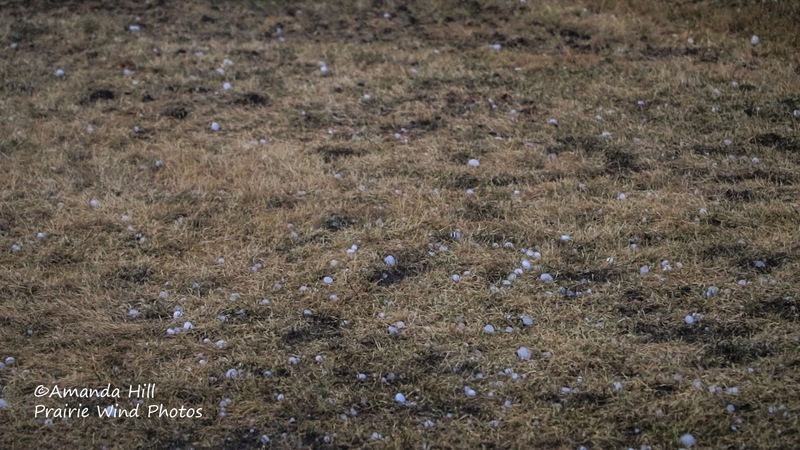 He normally likes to see tornadoes; but today he struggled to hoist this 2.5 inch tennis ball hailstone in his arms, that he went bonkers for in North Dakota today. See our facebooks posts and images from this day on our website! 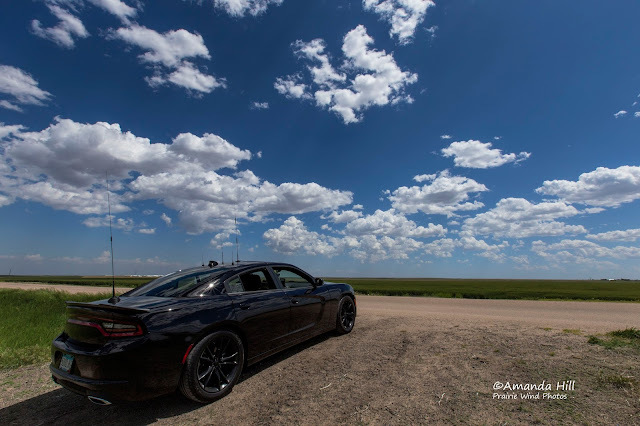 After the big Leoti Supercell/Tornado day we set up for the next day's target. 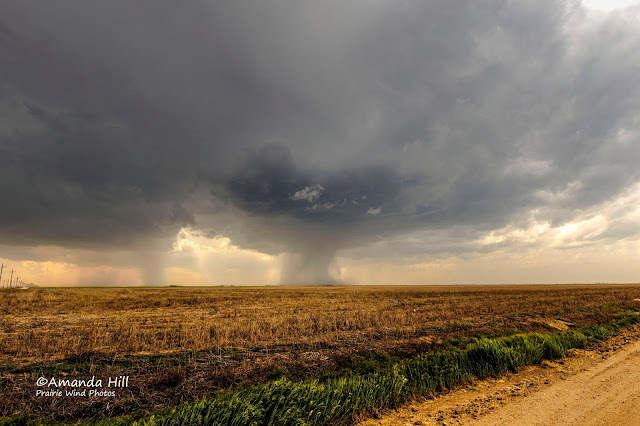 Northern KS border and NE. We had dinner in North Platte, NE and was watching the radar develop a cell. All of a sudden it popped, grew and became a storm. We got on ti from birth and followed it north on a tar road that turned into a sandy gravel road in where we had to let it go. Uncertainty of getting off the sandy gravel road with the car seemed nill so we went back the way we knew that would bring us back to tar. But the sights, sounds and scenery we saw was amazing. We did manage to get this nice picture. Monday morning we traveled from North Platte, NE to Des Moines Iowa. We stopped to have lunch at our favorite BBQ joint there. We saw that some storms were popping up - so we decided to follow them before heading north back for home. We got to see some nice CG's and tried out the go pro for once. 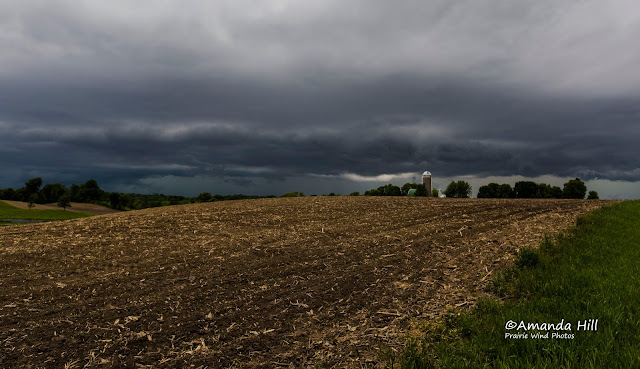 The above picture is the storm we saw in Iowa prior to heading North towards home. It was a fun, memory filled weekend! Nick and I left after work Friday night to position ourselves for Saturday's Setup. 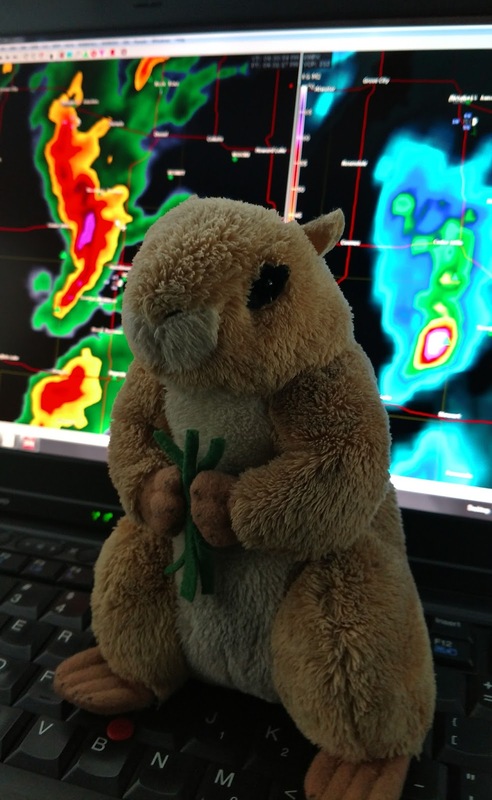 Saturday we targeted the town of Sharon Springs, KS to see what the models and parameters woudl have around the lunch hour. We got gas and ate a quick lunch at the 40/27 Gas Staion while looking at model data. We saw that we needed to head south, so we headed towards Tribune, KS. We went East of town a bit and sat. We watched the CU field form. 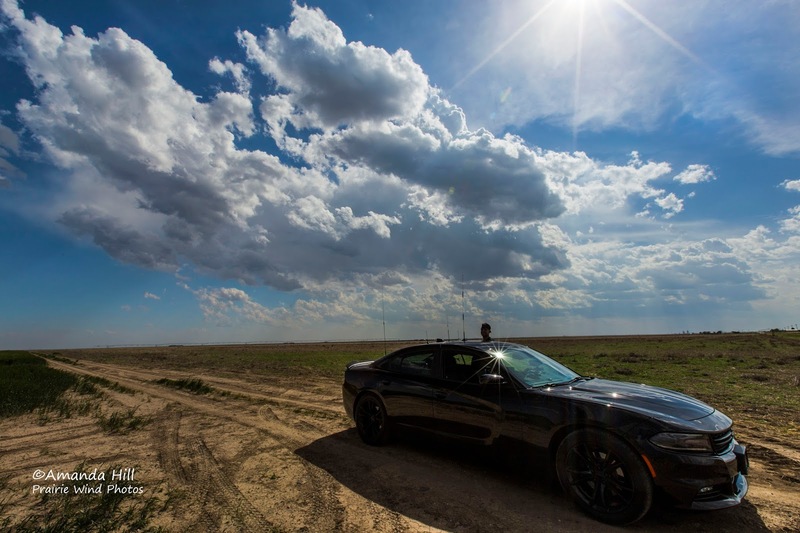 As things started to get going we headed East towards Leoti, KS and a bit north of town. 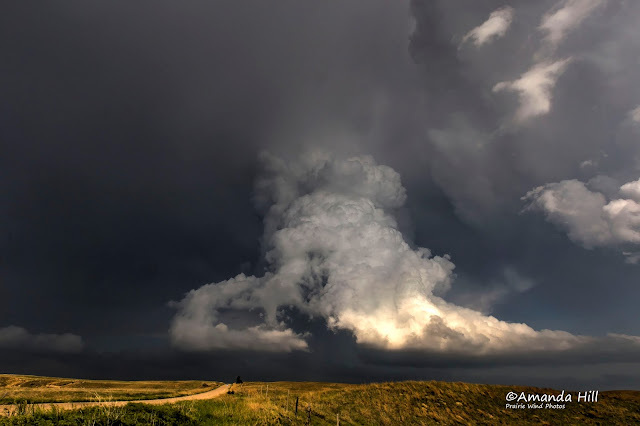 The cu field we watched exploded into a massive supercell. CU field starting to form that afternoon. Nick watching the skies for possible development. We watched this cell near Selkirk. This cell would explode and become the dominat super cell storm that produces multiple tornadoes. We followed this cell to the East to Leoti. Then then went north of town. 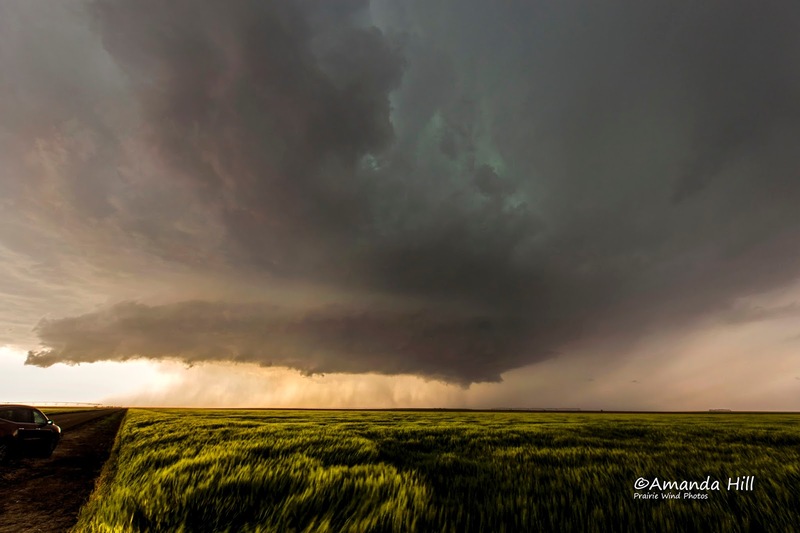 Here the majestic supercell showed it's true beauty. Start of the storm - rain foots. Wall clouds starting to define on the cell. 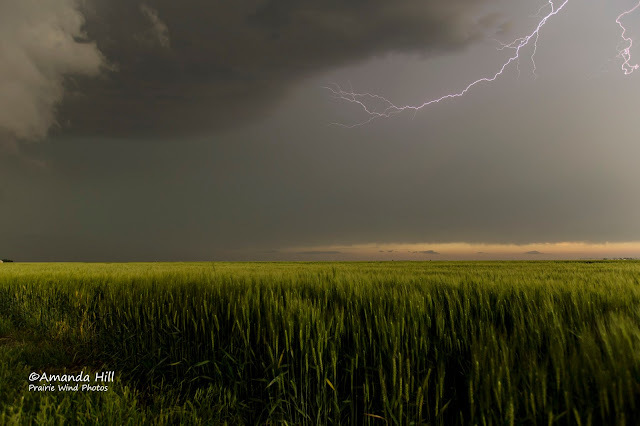 Pure luck capturing this smiling lightning arc across the supercell forming in front of our eyes. The supercell is starting to tightly assemble into a barberpole spaceship type of look. Taking in inflow from the right. 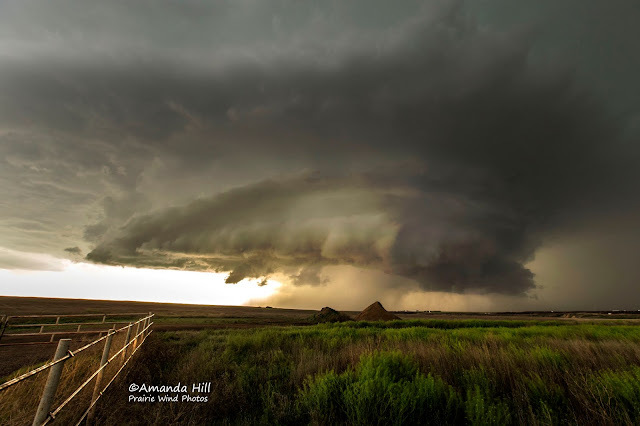 The supercell then formed a wall cloud and then soon the tornado appeared. The rain started to shroud the tornado and it quickly lifted afterwards. We continued to stay with the storm. Here are some more pictures from after the tornado. Lightning in the sky after the tornado. 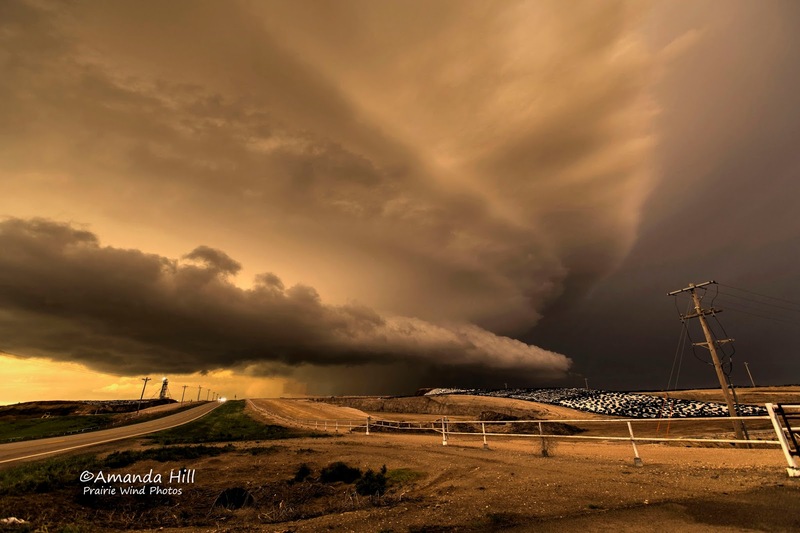 The mothership and inflow band into the storm. 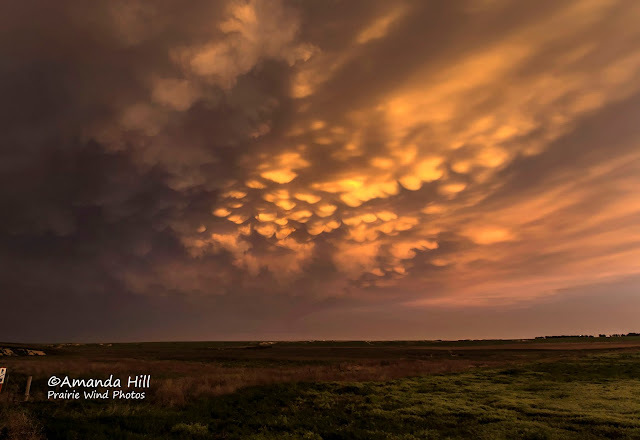 Mammatus treated us right at sunset. It was a spectacular day! A day that we will not forget for a while. We saw the slight risk slated for Sunday afternoon and the wording for possible supercells; and said we have to at least try it since it is so close to home. Saturday afternoon we headed down to Iowa in search of cones. Ice Cream Cones that is.. at Le Mars, Iowa. After a stop at the Ice Cream Parlor in downtown Le Mars; we set up ourselves with an overnight stop in Sioux City, IA. Sunday morning turned our slight risk for a more northerly play along the SD/NE/IA/MN borders. 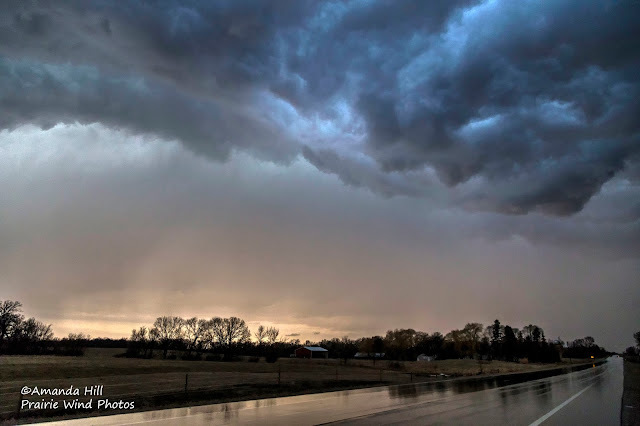 We went west in the late morning and ended up going through heavy rain around Sioux Falls, SD. The lightning show around Sioux Falls was awesome. Unfortunately we were driving the whole time and the rain was heavy and could not take any pictures. My our chase mascot was happy he was out for his first chase of the year. It was a good test of the equipment and we are ready to go. Bring on the storms Mother Nature!! Our very long time chase mascot: Mister Prairie Dog. 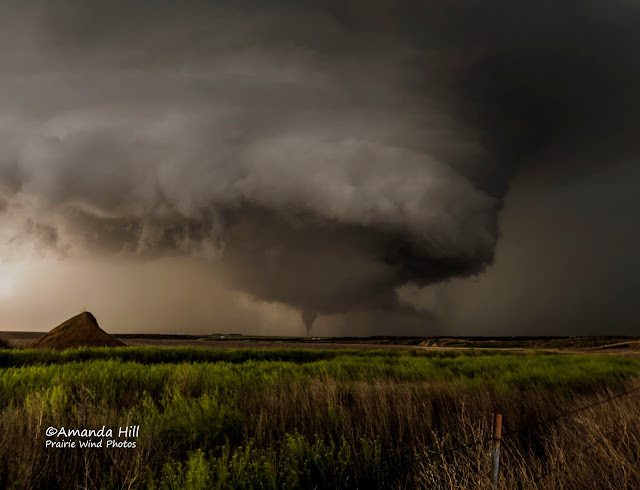 Here is his kicking off the 2016 chase season near Nebraska. 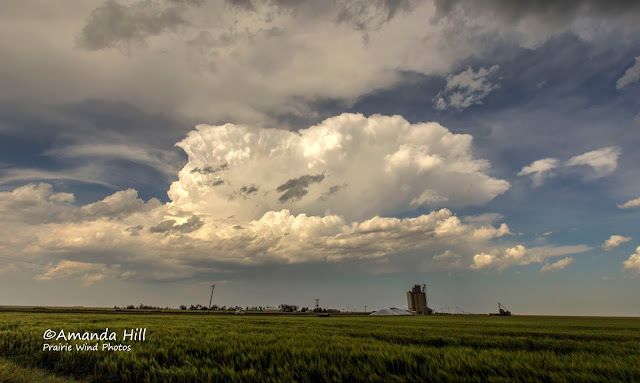 One of the very few, if not only storm, that tried to remain discrete along the dryline in Eastern Nebraska. 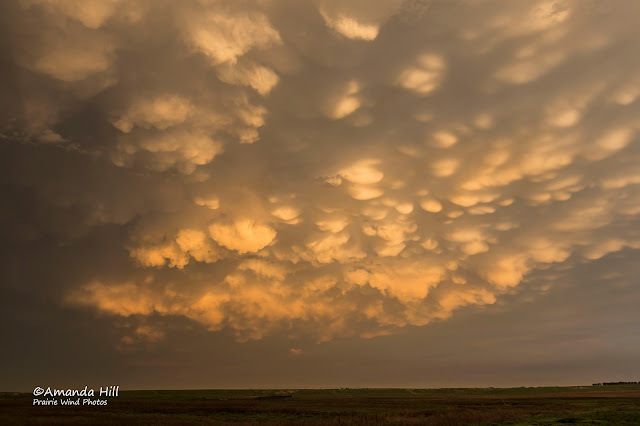 When we pushed on the other side of the small hail and rain core; we were treated to this great spectacular sky. Flooding is something that you do not want to mess around with. 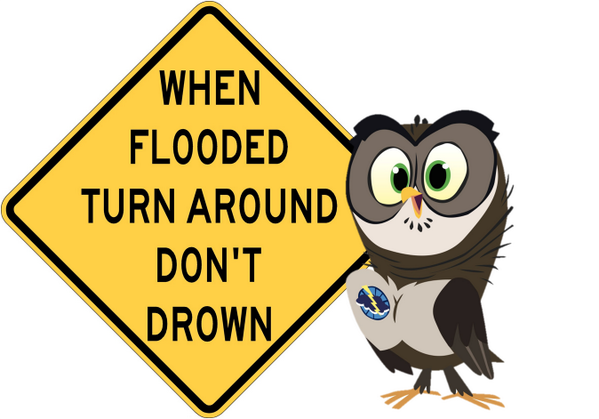 Remember - Turn Around - Don't Drown! As the severe weather season starts to ramp up - here are some very important Tornado safety information that you should be aware of. Heat Waves Kill. From 2000-2010, there was 35 deaths that were directly attributable to the extreme heat in Minnesota. When heat related products are going to be a part of the forecast, the National Weather Service will put out a couple of products. Excessive Heat Watches: These are issued when conditions are favorable for an excessive heat even in the next 24 to 72 hours. The watch is issued when the risk of a heat wave has increased but the occurrence and timing is still uncertain. It provides enough lead time so those that need to prepare, can do so. Excessive Heat Warning/Advisories are issued when excessive heat event is expected in the next 36 hours. these are issued when an excessive heat event is occurring, is imminent or has a very high probability of occurring. the warning is used for conditions posing a threat to life. an advisory is for less serious conditions that cause significant discomfort or inconvenience and if caution is not taken could lead to a threat to life. Heat index is sometimes referred to the apparent temperature given in Fahrenheit. 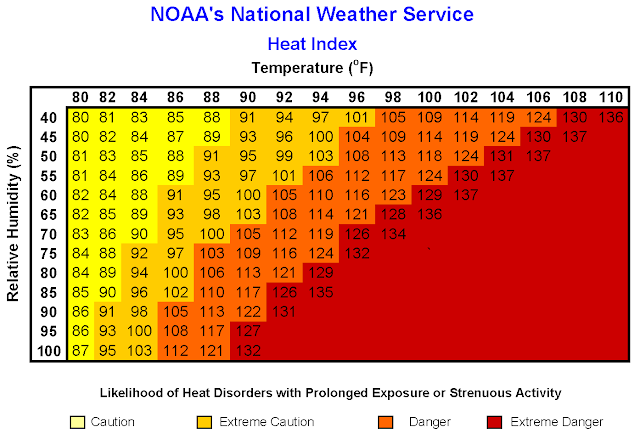 The heat index is a measure of how hot it really feels. Kind of like our windchill factor, but opposite. Below is a chart to keep handy on those heat days. Today the topic is Severe Storms, Lightning and Hail. 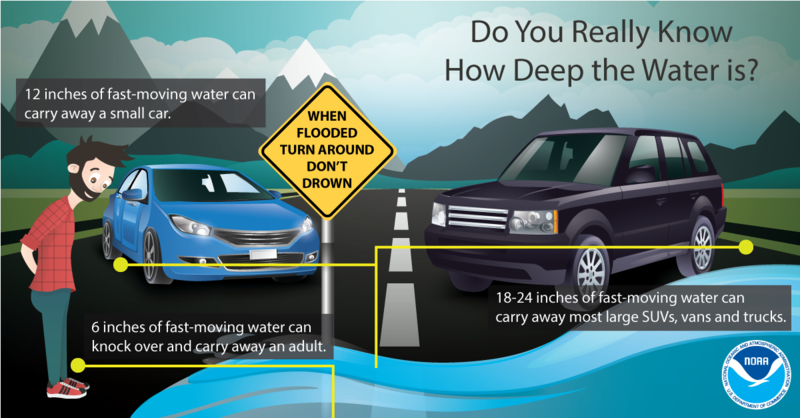 Below is a graphic that can help better understand how to prepare for these events and stay safe! Remember - When Thunder Roars - Head Indoors!